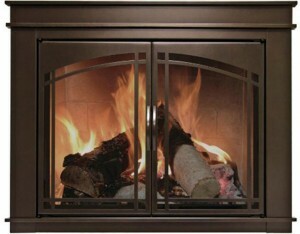 Keep your family warm this winter with a Pleasant Hearth Wood Stove. 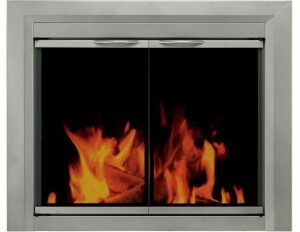 EPA certified and efficiency ratings of over 80%. Pleasant Hearth offer both Vented and Vent-Free Gas logs that run on either Propane or Natural Gas. 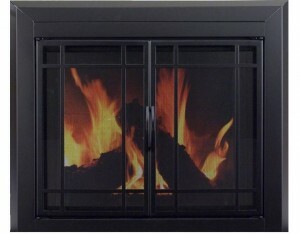 Pleasant Hearth produces various hearth products including fireplace doors, wood stoves, pellet stoves, gas logs, electric fireplaces, vent free fireplaces, vent free logs and accessories. Pleasant Hearth range of products are made by GHP group (The Glacier Bay), a company that builds finest fireplace products, gas grills and smokers in a sub-brand Dyna-Glo and several other expertly crafted and amazingly efficient household heating appliances. There is a reason why they have been leaders of the industry for over 100 years and still going strong. 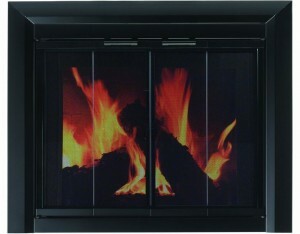 The Pleasant Hearth range is available at the largest internet retails and home centers across North America. All products have been tested thoroughly to make sure they meet and exceed the industry standards of quality, durability, and functionality. 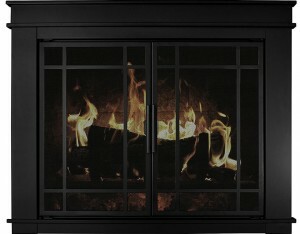 Pleasant Hearth fireplace doors add style and class to add to the warmth, comfort, and ambiance of a traditional fireplace. 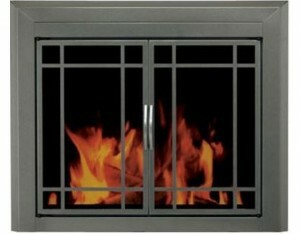 Furthermore, Pleasant Hearth Fireplace Doors improve your efficiency by literally up to 90% to keep the cold air out during winter time when your fireplace is not in use. 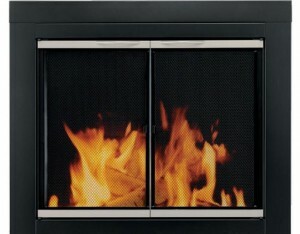 Pleasant Hearth Fireplace Doors have a functional, yet decorative mesh panels, which protects your family. 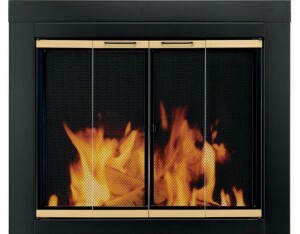 The mesh panel doors effectively lower the chances of sparks flying out and causing detrimental harm to whatever is in its path. 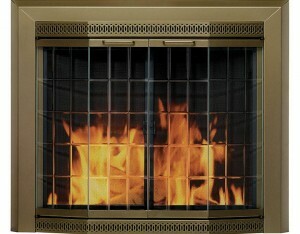 Save on Energy Bills – save up to 90% of the air conditioning energy you would lose up your chimney. 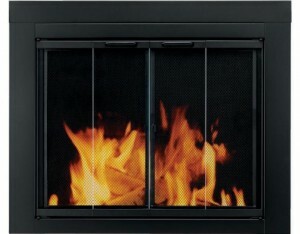 Having a Pleasant Hearth Fireplace Door prevents the warm air escaping. 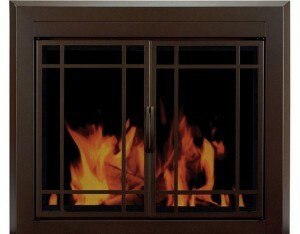 Cabinet Style Doors – these cabinet style glass doors open up completely to give you a full view of your fireplace. 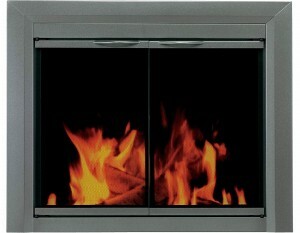 Design – Pleasant Hearth Fireplace Doors are offered in various styles to suit every living room. 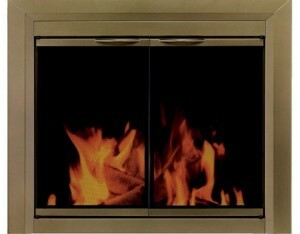 From the modern powder coat finish with sleek sharp lines, to classy antique brass finish, you’ll find the perfect fireplace door.